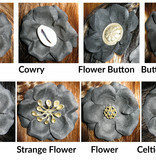 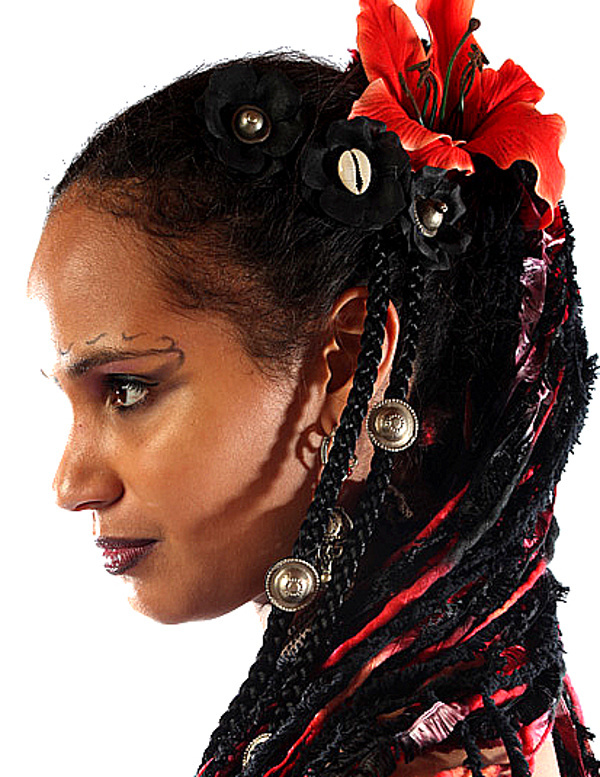 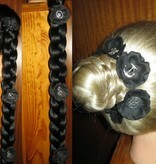 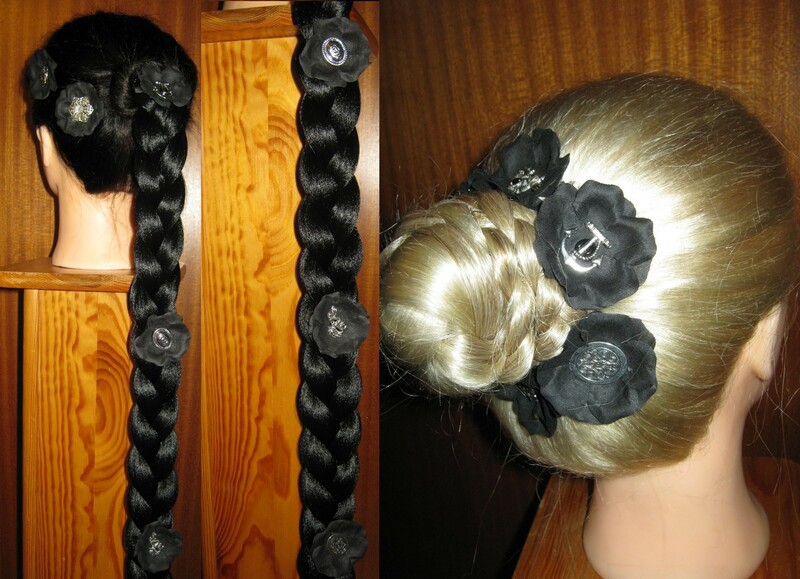 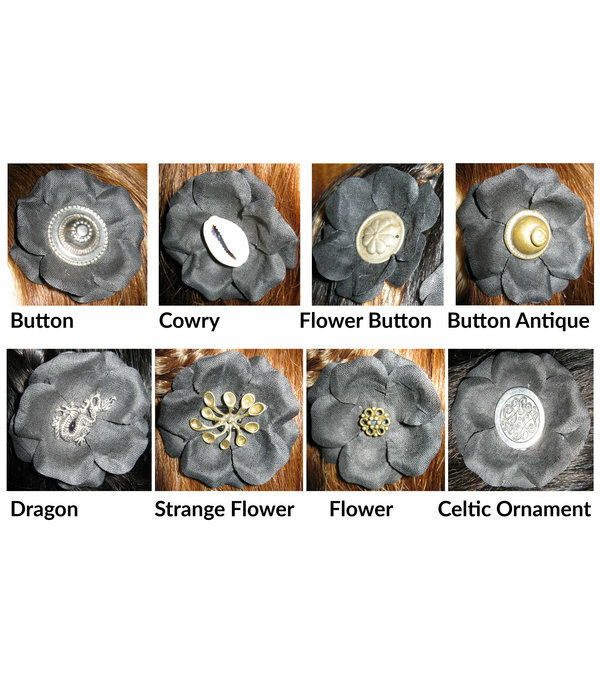 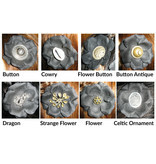 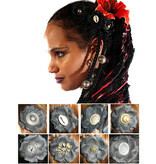 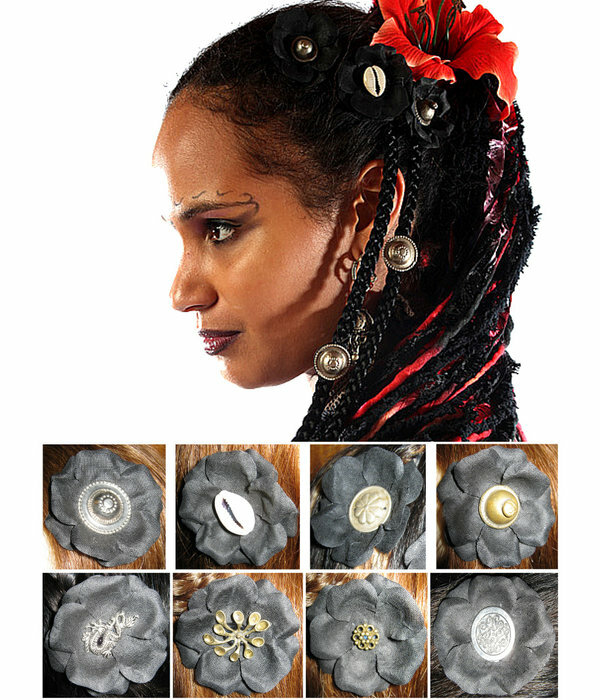 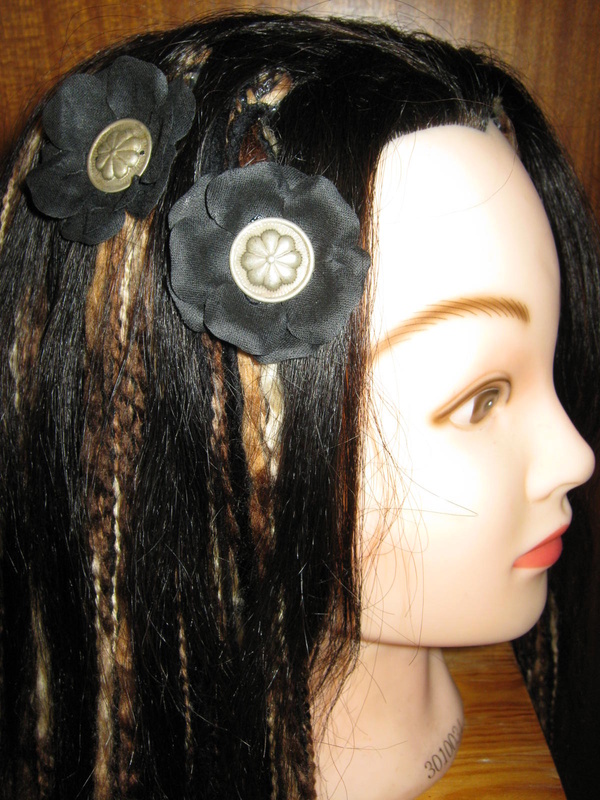 Choose your personal mix of Black Tribal Hair Flowers! 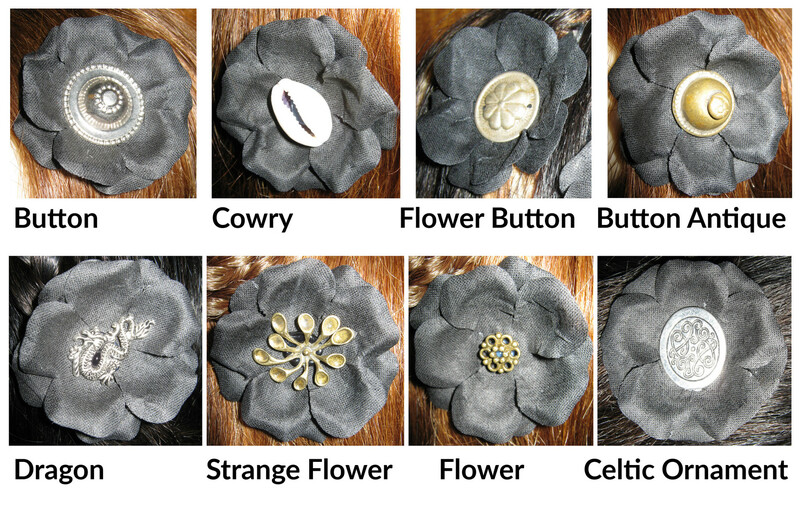 Pick your desired set size of hair clips and then the hair flower models you wish to get! 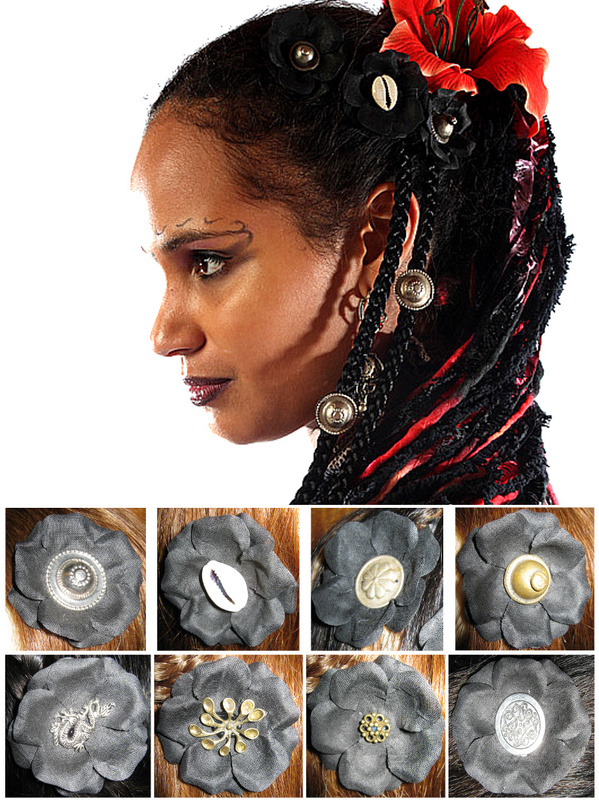 These black flowers are made of fabric flowers and decorated with silver and bronze colored ornaments or a real cowry shell. 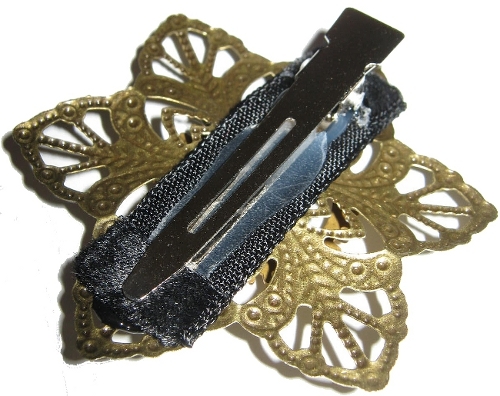 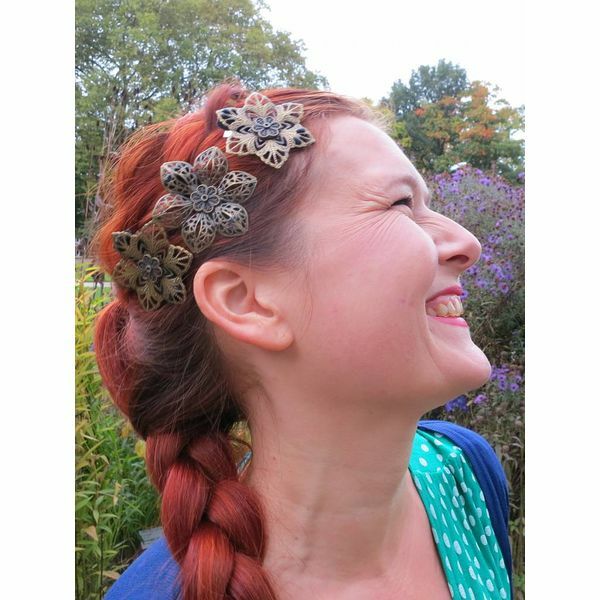 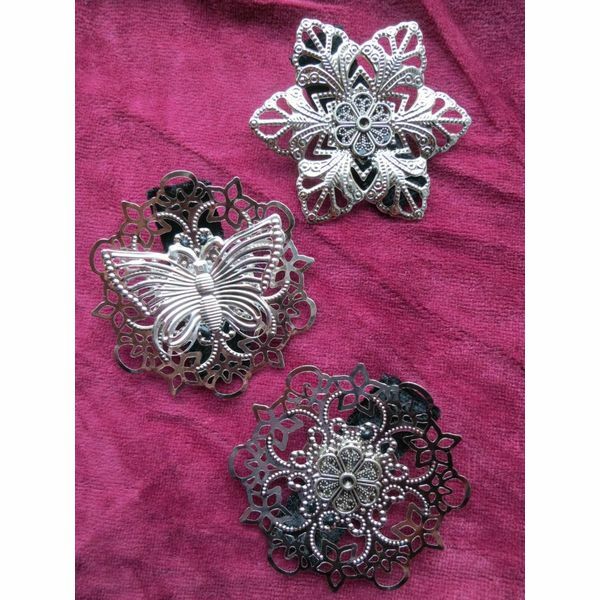 Like all our hair flowers black flowers are attached to professional metal hair clips for very strong hold (minimum hair length: 5 cm/ 2 inches). 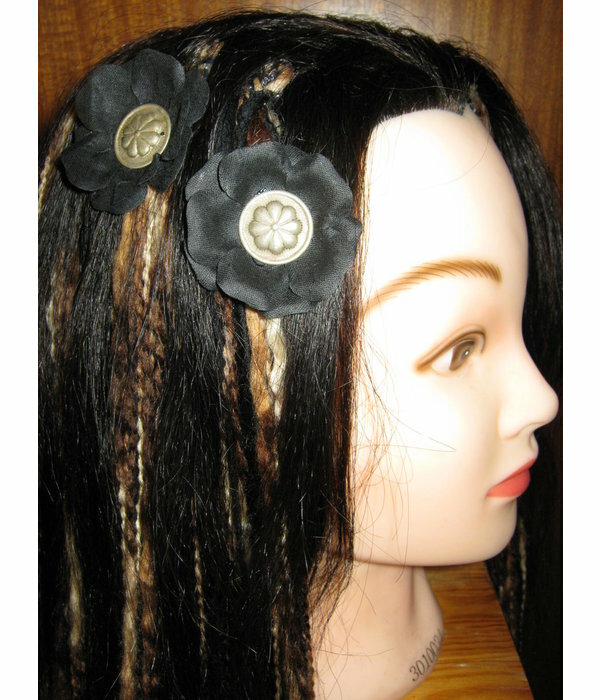 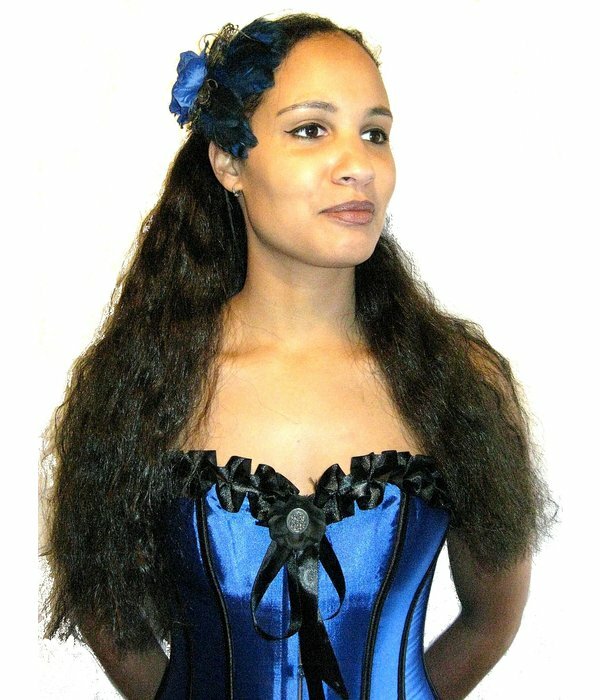 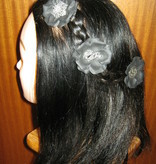 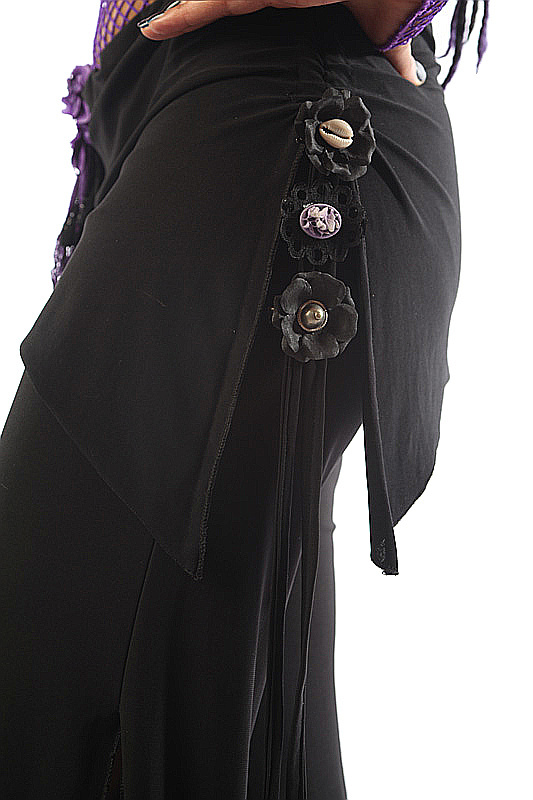 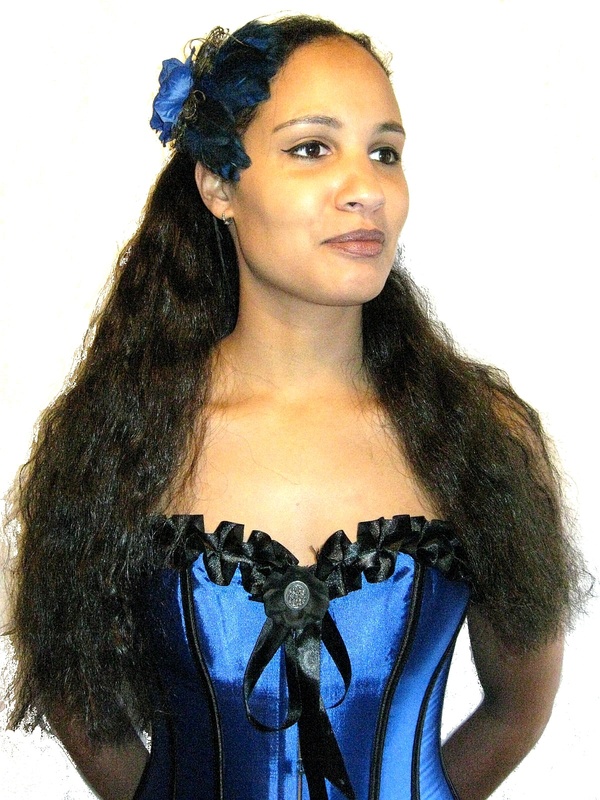 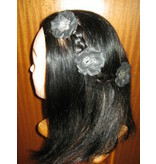 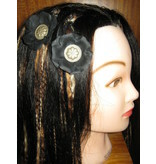 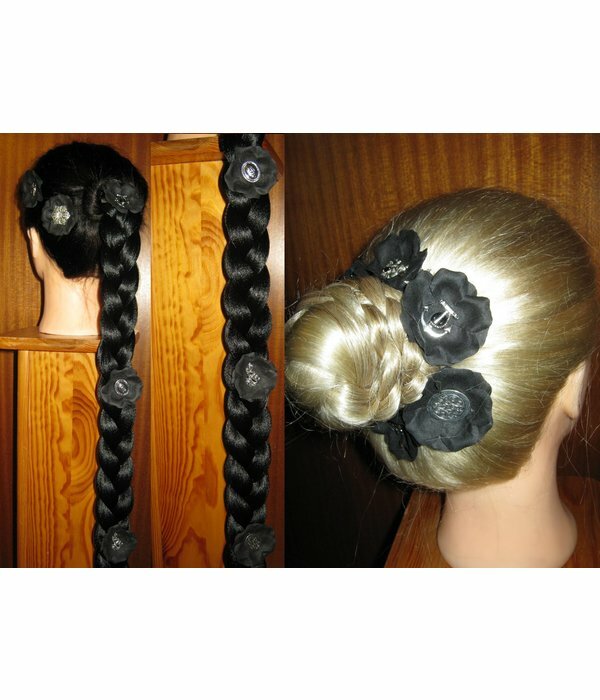 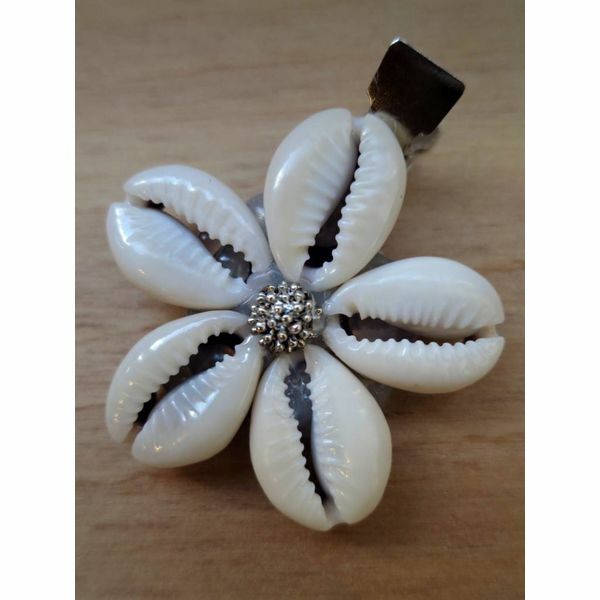 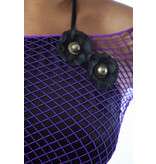 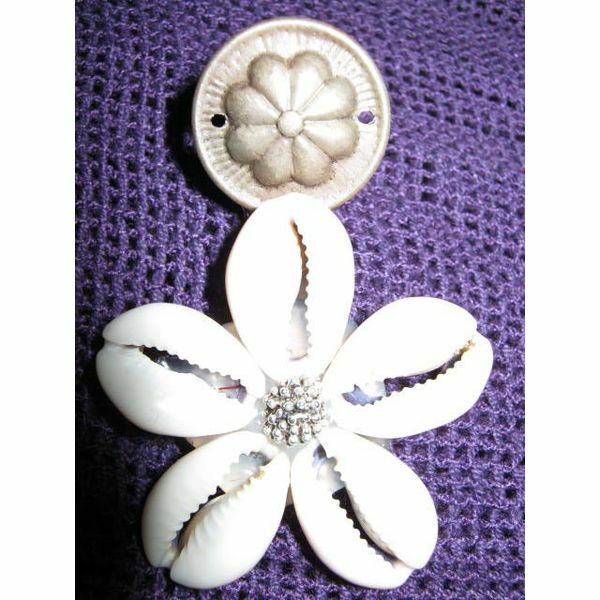 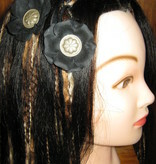 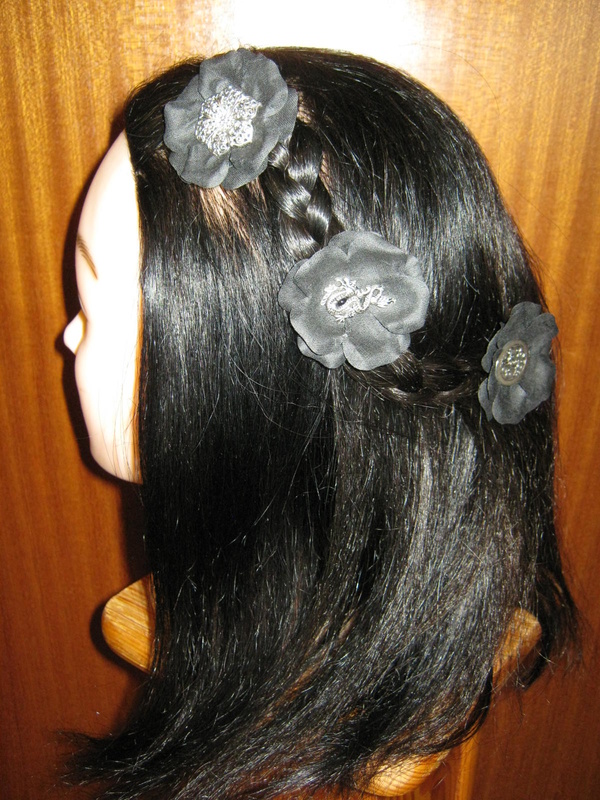 Find more black hair flowers in other listings in our shop! 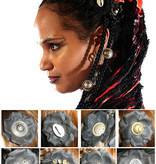 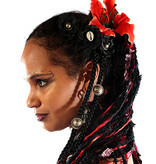 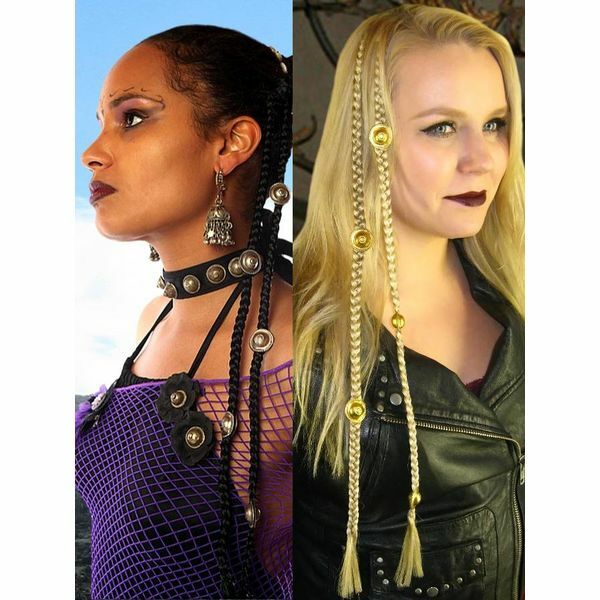 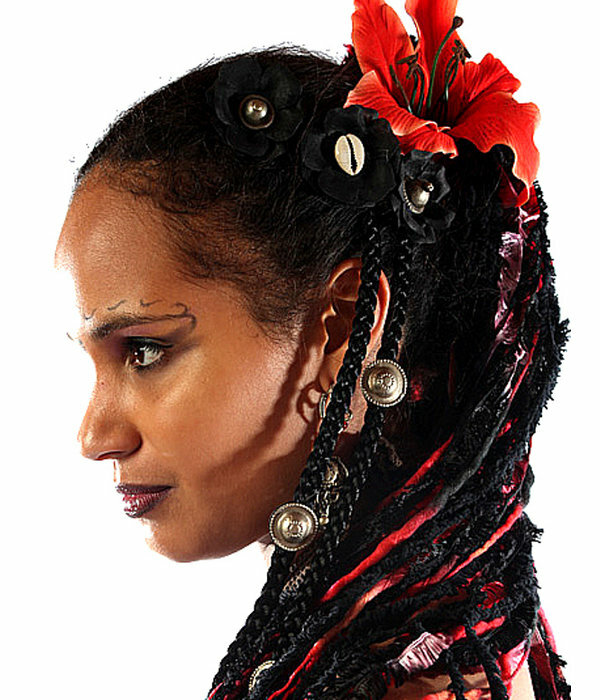 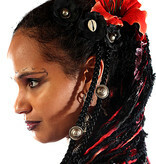 All tribal fusion belly dance hair jewelry is hand-made to order.